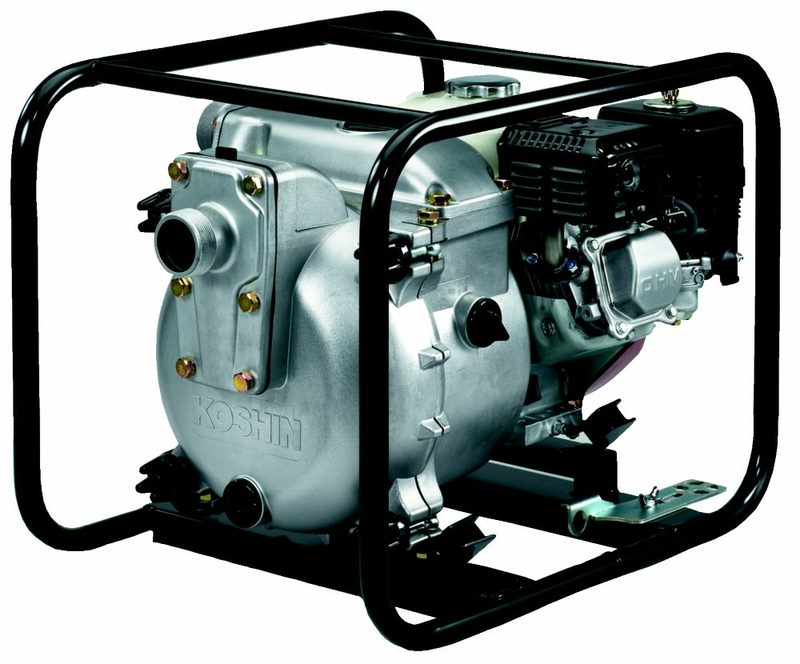 Koshin trash pumps are constructed with the highest quality cast iron to ensure maximum durability and lowest maintenance. Used for heavy-duty industrial and construction applications, the Koshin trash pump contains a special structure designed to endure industrial excavations and irrigations. Maximum Discharge Head 98 Ft. The SUWP80 is ideal for general purpose, high pressure transfers and flood recovery. Commonly called a trash pump the SUWP80 moves 265 gallons per minute, the long life 208cc, 7 HP motor provides plenty of reliable power. This pump is self priming for easy starts. Run dry capable. The portable 1/6HP submersible utility pump can be used anywhere unwanted water gathers. Ideal for clearing flat surfaces of water and emptying window wells, spas, tubs, aquariums and more. The package includes an adapter which fits standard hose . Powered by a Generac 79cc OHV engine, the CW15K delivers the high-flow capacity you need to take on most pumping jobs. Use it to remove standing water from basement floors, drain swimming pools, empty window wells, you name it. All in a lightweight package that's easy to take where you need it. Specifically engineered to handle muddy or sandy water, the ST20S is powered by a 169cc Subaru engine that pumps up to 158 gallons per minute. With features such as low-oil shut down, custom Easy Prime funnel design for quick and easy priming, and a large fuel tank with integrated fuel gauge, its both durable and easy to use. Trash pump - Powered by Honda GX160 engine Koshin trash pumps are constructed with the highest quality cast iron to ensure maximum durability and lowest maintenance. Used for heavy-duty industrial and construction applications, the Koshin trash pump contains a special structure designed to endure industrial excavations and irrigations.